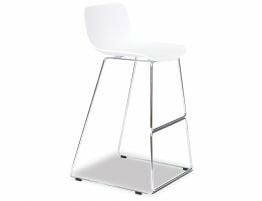 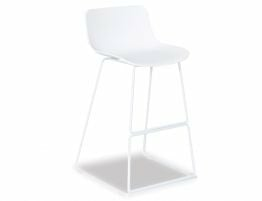 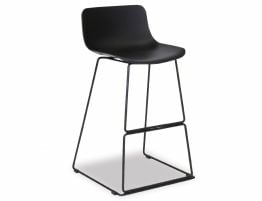 The Umbria Kitchen Bar Stool comes in a fluent polypropylene seat with black powder coated steel frame and a contoured generous seat. 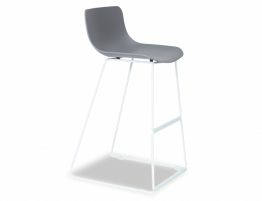 The Umbria Kitchen Bar Stool is easy to maintain and the simplicity of this stool makes it an understated elegance. 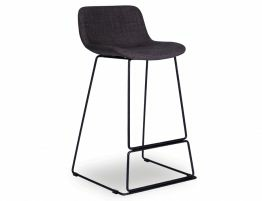 The cleanliness and finesse of this undemanding Bar Stool is considered 'child's play' with a well considered design brief and magnificent selecting of materials. Deserving of any modern contemporary home, the Umbria Kitchen Bar Stool is more then good enough to fit into the newly renovated kitchen or freshly built modern designer residence.